The new version of Fikus Visualcam, which makes already the number 17, and knicknamed "Ficus Elastica", brings many improvements in all applications, new features and developments to improve automation and productivity. The list of features is huge, but we want our customers and friends to know the main innovations of this version. Show the UCS name in the graphic screen. Views according to the active UCS. Zoom "All" does not take into account hidden entities and UCSs. Posibilility to hide the application window frame. Possibility to update from a file downloaded in another PC. Automatic updates while starting Fikus. 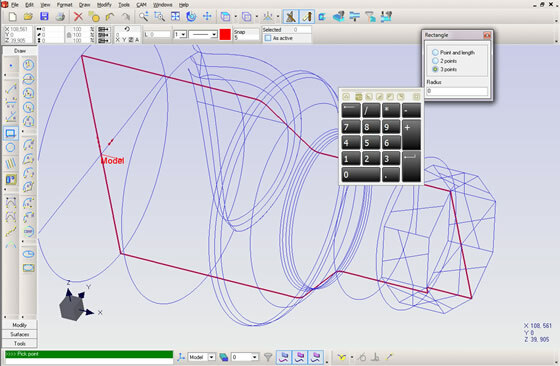 New drawing mode specially developed for lathe, including a specific dimensioning function (diametral dimensioning). New function, similar to "Center Geometry", but now for cylindrical parts. Improvements in wireframe 3D drawing. New options in gear function. New minimum path algorithm choosing first point. Rapid feed in the machine definition to make the machining time calculation more accurate. Possibility of sharing the tool table between all company systems. New machine simulator, faster and more accurate. Selection of size of the ISO toolholder in machine definition. Importing machining processes from another Fikus file (machining templates). Drill chamfering with conical tool, entering the chamfer height. Spot drill to intermediate diameter. Finishing with option By Zones / By Levels. Drill Wizard: Automatic detection of through / blind hole and chamfered drills. Possibility of editting the toolpath origin (UCS). Drag mill geometry directly into the groups. Improved sorting by minimum path selecting a first element. New application for multisurface full 3D machining, including all the necessary functions for roughing, finishing and remachine a piece. All functions listed below have multiple options to adapt the calculation to your needs and preferences. 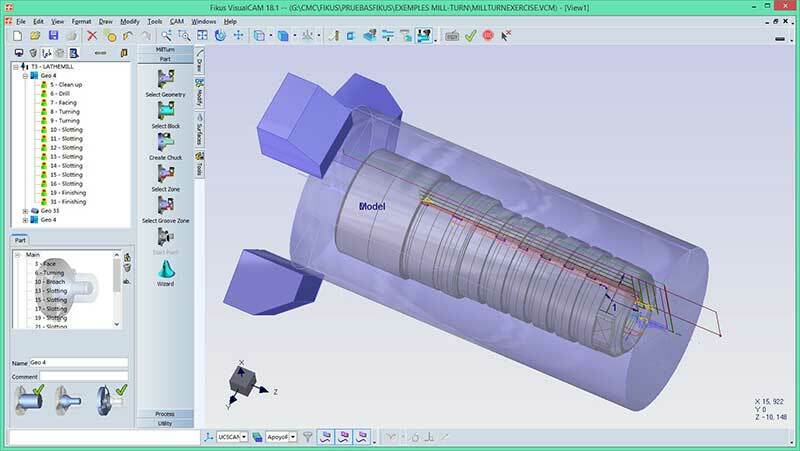 Rapid feed in the machine definition to make the machining calculation time more accurate. 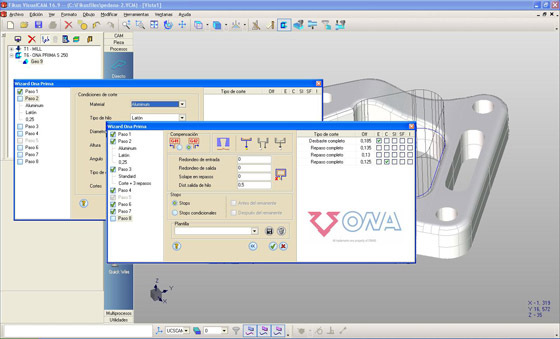 Possibility to share the tool table between other users and computers. New machining simulator, faster and more precise. Add the default lathe view (ZX+ or ZX-) in machine configuration. Chucks with name according to orientation. Gouge checking for slot tools angles. New algorithm to generate the revolution contour. Improvements in the automatic selection of zones. User tolerance in automatic zone selection in wizard. Import toolpaths from another Fikus file (Machining Templates). Improvements in the Collar Wizard. Different types for the entry / exit movement. Possibility to define the remnant value as a percentage of the contour length. 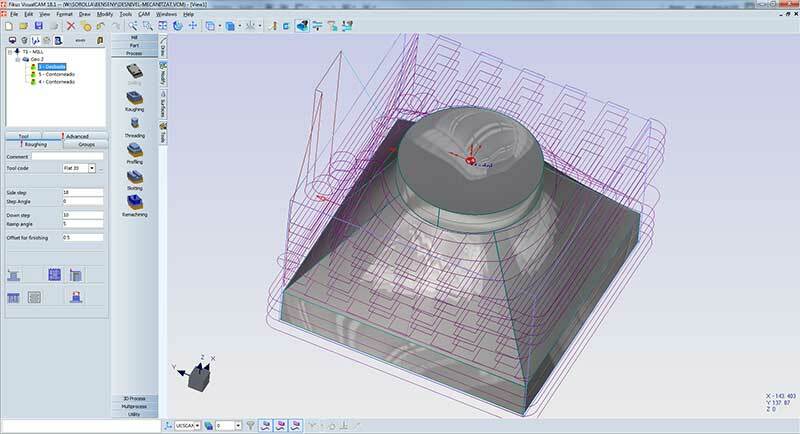 Leaned Autofix (triangular section remnant) for AgieCharmilles machines with Millennium CNC. Synchro lines by minimum distance. 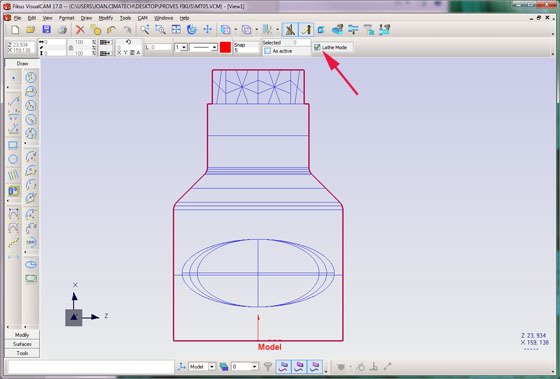 New function to propose optimum area for No-Core-Cut thread in. New Wizards for Ona Prima, Sodick Mark 25, Joemars and AgieCharmilles Millennium machines. User technologies support in AgieVision I and II. Access to AgieCharmilles technology database without the user of CT-Expert. New options in Mitsubishi and Ona Arion wizards. Possibility to change the toolpath zero point. Improvements in the function to calculate the minimum path.